The dark elf Downer Tarantula thought his dungeon guard duty would be a good way to earn some easy gold pieces, but his last day on the job finds him engaged in a mysterious and deadly quest for a powerful artifact called the Ulolok, an entity capable of reshaping the multiverse. Join Downer and his motley crew of subterranean adventurers on their epic quest to deliver the Ulolok to the drow city of Oubliette! Collected from the popular Dungeon cartoon designed and written by Kyle Stanley Hunter. 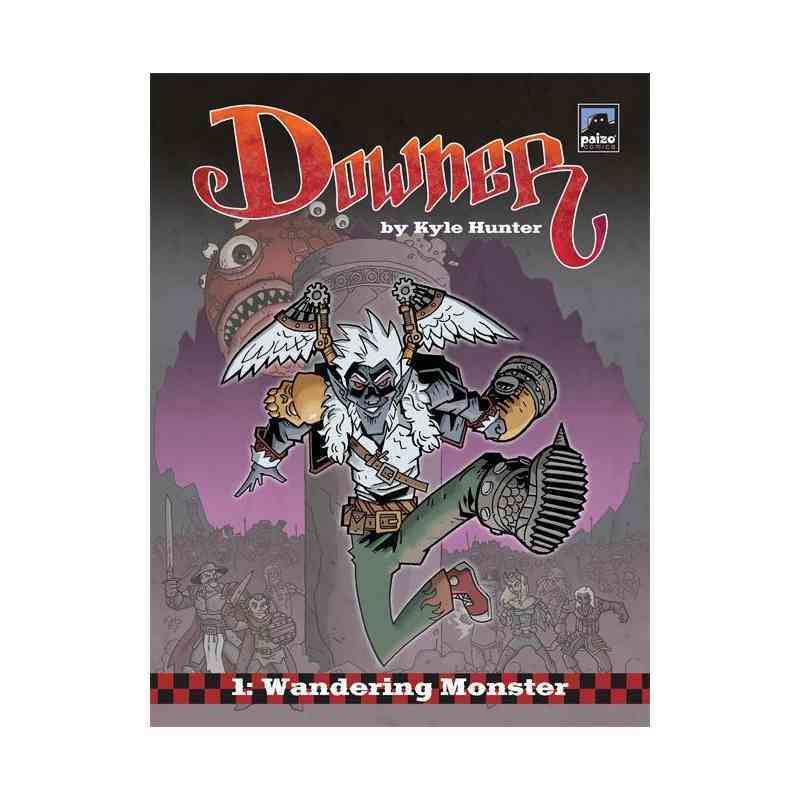 Downer: Wandering Monster contains 64 pages of comic strips collected from the pages of Dungeon magazine. The compilation allows readers to experience Downer's rich, complex story from the very first installment!